Tripoto has partnered with the Singapore Tourism Board, to create an innovative, fun and exciting travel web series ‘Trails 2 Passion – Singapore Redefined’. The seven-episode, web-series which showcases the experiential exploration of Singapore by Naveen Kasturia and Veer Rajwant Singh, well known faces of internet web series scenario will be aired on April 1, 2019. ‘Trails 2 Passion – Singapore Redefined’ will take you along the journey of these two actors in Singapore, where they plan their owntrails in order to ensure the deep exploration of their true passions, fulfilled to their hearts content through this journey. Naveen Kasturia, a creative guy who is extremely busy in life and ruled by stress will indulge in well curated, local experiences, whereas Veer Rajwant Singh, a happy go lucky guy, will have ultra-luxe experiences. 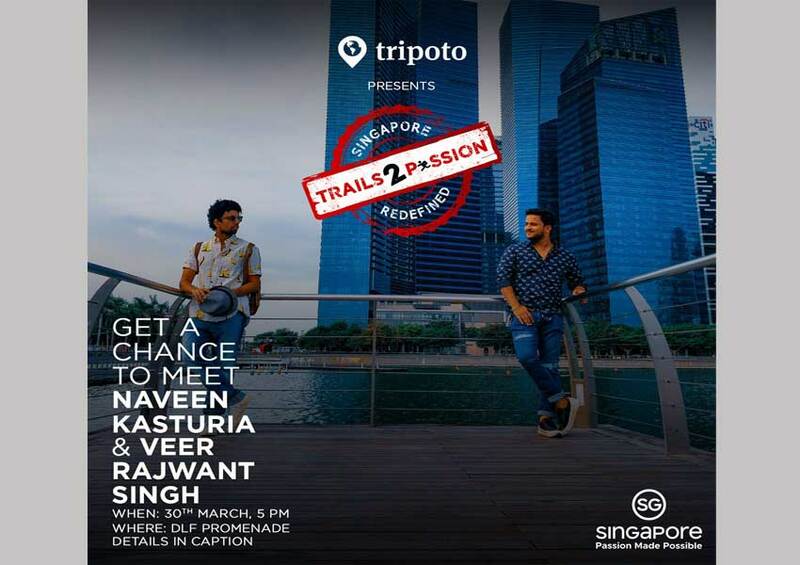 The Screening of ‘Trails 2 Passion – Singapore Redefined’ will be held on 30th March with Actor Veer Rajwant Singh at DLF Promenade 5pm onwards, where he will be sharing anecdotes from his Singapore travel. He will also be engaging with the audience for a travel quiz at the event, where one winner rewarded with couple tickets to Singapore and runner ups will go home with Tripoto goodies.